For most American viewers when this article was first written, Tom Holland's performance as Spider-Man boiled down to a couple of line-readings and a few acrobatics. It looks very promising indeed, but would it be the greatest Spider-Man ever to grace the screen? There are, it turns out, about a dozen competitors, ranging from the woefully forgettable to the unjustly forgotten, from the ones who millions think of when they think "Peter Parker" to the one that had an entirely different secret identity — and even one who seemingly had no secret identity at all. Here's a quick review of the onscreen Spider-Men from worst to best. Throwing Peter into a bizarre "Counter-Earth" full of animal-men, with humans as second-class citizens, was a pretty interesting twist at first, but it was a desperation move after Marvel smacked down the producers' first two ideas. This new status quo also made Peter Parker pretty ineffectual, as he continually failed to make any progress toward getting home or ending racism (don't feel too bad, Peter, we all struggle with that one). He ended up getting into a bizarre love triangle with J. Jonah Jameson's son and a Counter-Earth woman who's a dead ringer for Mary Jane. That'd be okay if he was a free agent, but in this cartoon, Mary Jane was already his wife. So... no. And what the hey was going on with his hair?! The best thing you can say about Nicholas Hammond's Spider-Man is that the stunts were real, and mostly done by Fred Waugh. It takes real courage for a normal guy to do all the building-scaling and web-swinging that even a severely toned-down version of Spider-Man required. But it was severely toned down, all right — virtually everyone involved with the project seemed to be afraid of looking silly, which may be why it's the one Marvel project Stan Lee completely washed his hands of. Forget making jokes: this Spider-Man barely even had lines. In fact, by the last six episodes of the series, he barely even had identifiable super-powers. And yet it scored good ratings, but CBS pulled the plug anyway so that no one would stereotype it as "the superhero network." Mission... accomplished? 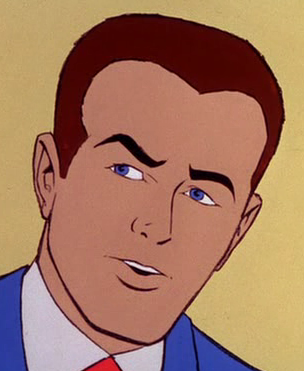 The first season or so of this animated adventure is as faithful as you'd expect given that the still very involved Spider-Man creative team of Stan Lee and John Romita were heading it up, although for some reason, their Peter Parker came out looking more like Harry Osborn. It also gave us Spidey's best-remembered, though slightly nonsensical, theme song (wouldn't radioactive blood make you weak, not strong?). Then Lee got too busy and someone was like, "We could save so much money if Spider-Man was just fighting generic bank robbers/monsters!" which meant Peter was more or less sleepwalking through the last two seasons. Even on a good day, though, this series was too crude and budget-bound for the web-slinger to really wow modern viewers. But hey, at least it inspired a hyper-popular meme, right? The short segments that ran on The Electric Company — Spider-Man's first live-action appearances — are a challenge to rank. Clearly aimed at a very young, barely literate audience, the three-minute stories never left much room for character development. "Spidey" (who's never called Spider-Man or shown out of costume) "speaks" in speech balloons and thought balloons on the screen, and Danny Seagren renders him in a style of physical acting somewhere between Charlie Chaplin and your typical street mime. Like the previous entry, this "Spidey" is charming but too crude to rank any higher, even with Morgan Freeman occasionally narrating his adventures like he's some kind of super-penguin. Takuya Yamashiro fights evil, wears the suit, has a secret identity, shoots webs, crawls walls and has some super-strength. He also has Green Lantern's origin story (except that when a dying alien came to Earth to give Hal Jordan his power, he didn't crash-land on Hal's father first), pilots a giant leopard robot and, in his civilian identity, races motorcycles (it's his girlfriend who's the photographer) and says things like "I am an emissary from hell!" Not exactly what fans of Peter Parker were looking to see, but the Toei version is certainly fun to watch. He even showed up in the comics a couple of years back, in one of those "alternate-universe convention" stories. Marvel put out two Spider-Man shows at the same time with different actors and different setups, but the identical character designs, similar flavor, and continuity between the shows makes it hard to think of their main characters as two different Spider-Men. Amazing Friends was much more popular, probably because (as the title suggested) it was the first Marvel show to really pour on the guest stars, with Firestar and Iceman just the flaming tip of the iceberg. A collegian living with Aunt May, this Peter was an especially laid-back version, often sounding like he might unmask at any moment and stand revealed as Stan Lee (whose narrations introduced some airings of Amazing Friends). When Spider-Man hit the big screen in 2002 after decades of false starts, comics fans were mostly too excited about what it got right — Peter's dorkiness, his relationship with Mary Jane, Aunt May and J. Jonah Jameson, and (for better and for worse) his bottomless sense of self-sacrifice and responsibility — to complain about any issues more substantive than "organic webshooters." Fourteen years and two sequels later, Maguire's performance and Raimi's direction looks a little more stilted and stylized than they used to, especially since this Spider-Man's quip-to-action ratio is almost as low as Nicholas Hammond's. Don't get us wrong, the movies are still great fun — but boy, was there room for improvement. That being said, Maguire did give us the greatest live-action Spidey film to date (Spider-Man 2), so there's that. Andrew Garfield was, in hindsight, a much better fit for the role: believably geeky without being over the top, capable of displaying a wide range of emotions, and a lot more willing to crack jokes. The upside-down kissing scene from Spider-Man (2002) was sweet, but Garfield's chemistry with Emma Stone was the reason the word "adorkable" was invented. Unfortunately, they weren't acting in a vacuum, and in the second movie especially, Mark Webb often seems to lose sight of his characters' motivations. In its first scene, is Spider-Man swinging around and idly looking for trouble or is he late for his girlfriend's commencement speech? Because if it's both, he's kind of a jerk. Throw in some questionable creative choices like "Uncle Ben II" and The Mystery of the Parker Parents, and you end up just about dragging Garfield down to Maguire's level. But at least Garfield never had to do the Symbiote Shuffle from Spider-Man 3. For Christopher Daniel Barnes, voicing Peter Parker was a dream job, and he treated it as such. Like Amazing Friends, this series put Spider-Man in college and didn't waste any time on origin stories, but also adapted many stories straight from the comics and kept its focus more on Spider-Man characters. This ends up benefiting Peter a lot, making him less the tour guide to the entire Marvel Universe that he was in Amazing Friends and more of a young man who's trying to navigate a realistic, complex web - erm, mosaic of interpersonal relationships. Then again, with five seasons to run, this series found room enough for everybody. And if you felt that Pete's path to marriage was a bit abrupt in the movies, this is the screen portrayal for you. The current onscreen Spider-Man is probably the most divisive for fans, mostly because he's the polar opposite of Hammond's stony, serious silence. This Peter Parker is sillier and cartoonier than any other version (though certainly capable of being serious when it counts) and has been given an interesting hook: having been Spider-Man for a year, he now trains with other S.H.I.E.L.D.-sponsored heroes in order to become the best version of himself. "Ultimate Spider-Man" isn't just hype or a catchy title for a series — it's a life goal, as is joining the Avengers one day. Is the execution too silly? The kids in our neighborhood would disagree, if we could get them to stop laughing. A direct sequel to the events of the first Spider-Man movie, this series was doomed by unconventional animation and episodes aired out of order, but it boasts smoothly paced action sequences, sophisticated subplots and Neil Patrick Harris — Neil Patrick Harris — in the title role. It's probably no coincidence that of all the onscreen Spider-Men, NPH was best at capturing that playful, sarcastic Stan Lee-style banter that so many other versions seem to struggle with. Like Garfield's version, this incarnation was often better than the stories he was given, which fell into fairly predictable patterns, but "predictable" is still better than The Amazing Spider-Man 2's "problematic." It's just too bad the producers couldn't manage a musical episode. Harris would later return to voice the webhead (well, one of them anyway) in the highly enjoyable Shattered Dimensions video game, further establishing himself as the ideal Spider-Man voice performer. How might he have fared in live-action? We'll never know. Television's best Spider-Man was the one that planted the character most firmly where his roots had always been — in high school — even though the arcs were given titles more appropriate to basic college courses ("Biology 101," "Criminology 101," "Drama 101," etc.). The younger casting made for a more natural balance of comedy and drama in the show and in Spidey himself, but the series also gleefully borrowed a huge cast from every comic-book version of Spider-Man that had come before it, whether the web-crawler had met them as a teen in those original comics or not. Weirdly, this worked, likely because Spider-Man is essentially an awkward, angst-filled teenager, and no matter how old he gets, a part of him always will be. If you're searching for the definitive TV version of the character, look no further. Holland builds on the best of his predecessors' performances: he marries Maguire's nerdy outsider vibe and Garfield's snappy patter, but his humor comes from a different place than either of theirs. Holland is young, younger than any other Spider-Man, and that youth plays extremely well against Tony's mix of world-weariness and playfulness. He's tormented by his uncle's death, but not so much that he's lost the joy in what he can do. It's interesting to realize that he doesn't really make jokes in Civil War: the humor comes from one of Marvel's oldest characters coming onto the stage as the newest. Rather than overcomplicate the film (as some characters risked doing in Age of Ultron), his fresh young perspective gave its biggest, best fight scene a shot in the arm. There's more to say about his performance, but we're all likely to be saying it together when Spider-Man: Homecoming drops in a couple of years. What's your ranking for the twelve? Did we miss anybody? And where do you think Holland's place will be on this list when all is said and done? Let us know in the comments!